By nature, I'm the type of Internet user who only goes looking for information when I absolutely need it. It is pretty easy to get lost while online. Not to mention, distracted by tantalizing tidbits of information. 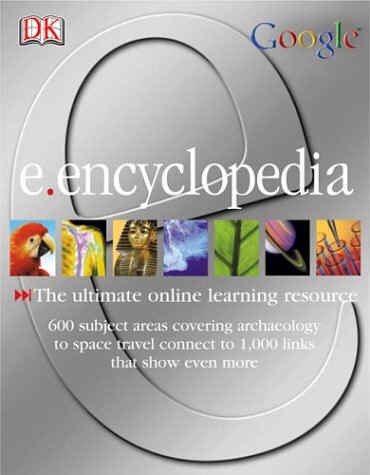 Most books about the Internet seem to focus on Web sites or specific Web toys and topics. This book not only covers all the basics of online life, it also fills in the gaps with amazing secrets you won't find anywhere else. Yes, there are also plenty of URLs, yet that is not the main focus. 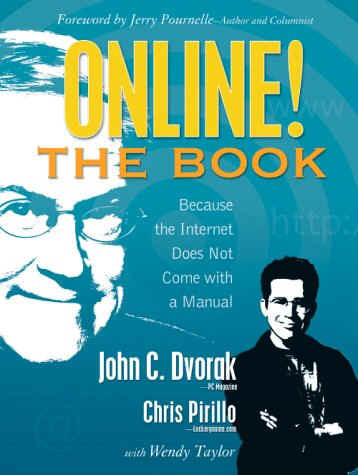 John C. Dvorak and Chris Pirillo have created the ultimate Internet manual. In a matter of hours, you can read the latest information on hardware basics, ISPs, Music Downloads, E-Commerce, Gaming, Downloading, Email, Spam, Security, Viruses, Creating Your Own Web Site, Web Programming Languages, The Blog Phenomenon, Streaming Media, The Inner workings of a Modem, Networking, PDAs, Internet Marketing, Webcams, Content Management Instant Messaging, Peer-to-Peer Communication and Internet Law. John C. Dvorak writes the Inside Track column for PC Magazine and has been writing opinion columns about computers since the 1970s. Internet Guru Chris Pirillo has a site where you can find everything from the "Top 50 Windows XP Tips and Tricks" to "The 10 Quick Steps to Being a Great Radio Guest." If you are a Windows Fanatic or want to keep your mind updated with the latest information, Chris has it covered. Ok, so he has lots of sites and even developed a Brain Trust. Wendy Taylor, the former editor of PC Computing, worked as the project manager and coordinated the knowledge flowing in from a team of experts from various organizations. Her organization of the material is awe inspiring. So, how will this book be of benefit to you? 1. Are you buying a new computer? - Read chapter 2 on Hardware Basics and find out that in exclusive circles people are talking about "overclocking." Beware the blue screen of death. The great feature of this chapter is the ability to quickly find information fast. If you are ordering a computer online and want to know the details about SDRAM, pg. 32 gives a basic overview. Then, skip on over to chapter 11 to read about security and chapter 12 to learn about viruses. Read about some famous viruses and learn how they operate. Did you know your computer is probably filled with spyware? Learn how to delete cookies and install antivirus programs. 2. Love to Shop? This book has ideas on how to get the best combination of price and service for your next purchase. It also shows you how to establish yourself as a seller at major sites like eBay and Amazon Marketplace. You can sell just about anything at Amazon. There are a variety of programs and I've tried zShops and loved how fast items sold. Amazon now sells gourmet food! 3. Did your phone company offer to rent you a Cable modem or DSL router? How much are you willing to pay to surf fast? Do you want to save money? How much time do you think you will be spending online? This book has helpful advice for every question I've ever had about online life. 4. Interested in Meeting People? I'm glad the authors to talk about the emotional strain of online life. While it can be freeing to tell your best friend all the details of your life, it can be equally unpleasant to find you trusted the wrong person. It is however, very likely that you have a number of soul mates out there who can make your online life feel more like home. You might never meet them unless you were online. This section discusses chatrooms, lurking, netiquette, instant messaging, online dating, emoticons, acronyms, chat shorthand and even an interesting section on Japanese emoticons. 6. Want to go Wireless? Read about how you can wear your computer or buy a smartphone. 7. Starting a Business? Read the chapters on Internet Marketing and E-Commerce. 8. Interested in Downloading Music? Read an article about the RIAA and Napster. An Exclusive Online Guide should appear soon. You have to love books that have their own site with additional information.